There Is No Such Thing As Defeat. Life can be comared to the construction of a tunnel; it seems we are often obstructed by solid rock. Invincible thinking works as the owerful drill to break through this rocks. When we ractice this way of thinking, we will never feel defeat in our lives. 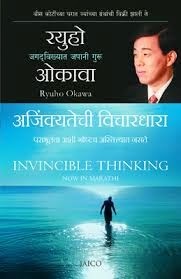 Invincible thinking is based on ractical theories and it bridges the ideas of selfreflection and rogress. By reading, savoring and racticing the hilosohy in this book, and using it as your own ower, you will be able to declare that there is no such thing as defeatonly success.